Developer mode in Android… What is the Developer Mode? What is it’s featured? How it’s work? That’s a big suspense for many Andoird Users. 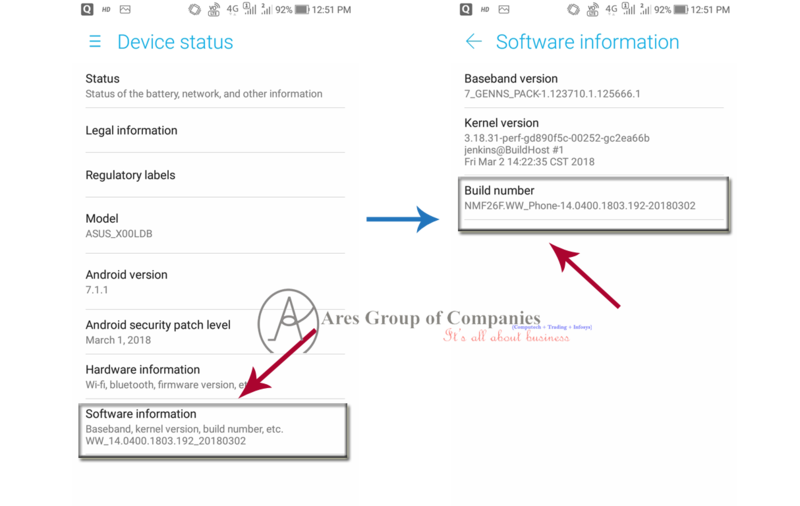 They also use very upper to upper version’s Android device, but they don’t know what is it ?? How to enable this on your device?? Don’t tense, just go through my article, and you get your answer. Many of my blog readers are asking me that, they have a little bit of knowledge of DEVELOPER MODE, but there confused that how to enable this on a device. At first, go to Settings > then you show “About Device” option in System tab, open it > then you will show “Software information”, again open it > here you see the main option “ Build number”, click 7 times constantly on it. Then you will see that a Note visible on your screen, “Now you have a developer”. Now finally you have done this. With this Developer mode, we can do many things that we have no idea before knowing this. In this article, I will write some of them which are commonly used. USB Debugging is one of the common things that mostly used by Mobile Technician, for any purpose. 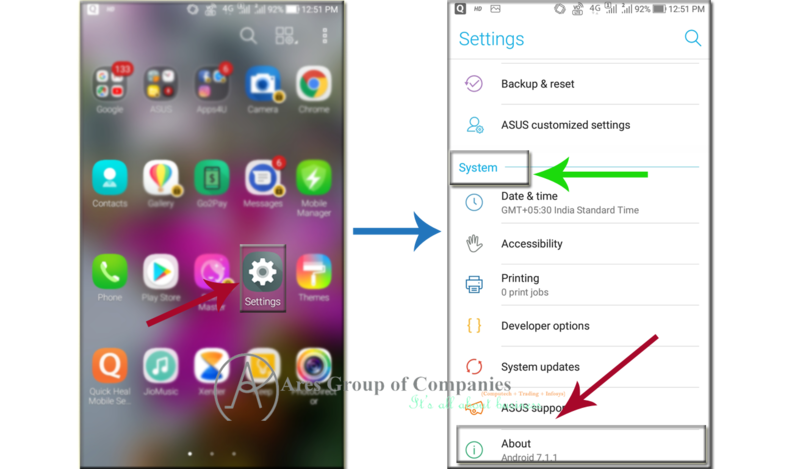 If you use the above ADB trick to create local backups of your Android device over USB, you can protect them with a password with the Set a desktop backup password option here. This password encrypts your backups to secure them, so you won’t be able to access them if you forget the password. One of the primary reasons for enabling Developer Options is to install ROMs of your own, like CyanogenMod or something else entirely. It’s not quite as easy as picking another OS from the Developer Options menu, but there’s plenty of help online to get you started. When you move between apps and screens in Android, you’re spending some of that time looking at animations and waiting for them to go away. You can disable these animations entirely by changing the Window animation scale, Transition animation scale, and Animator duration scale options here. If you like animations but just wish they were faster, you can speed them up. On a fast phone or tablet, this can make switching between apps nearly instant. If you thought your Android phone was speedy before, just try disabling animations and you’ll be surprised how much faster it can seem. You can use Android’s Daydream Mode to display certain apps while charging your device. If you want to force Android to display a standard Android app that hasn’t been designed for Daydream Mode, you can enable the Stay awake option here. 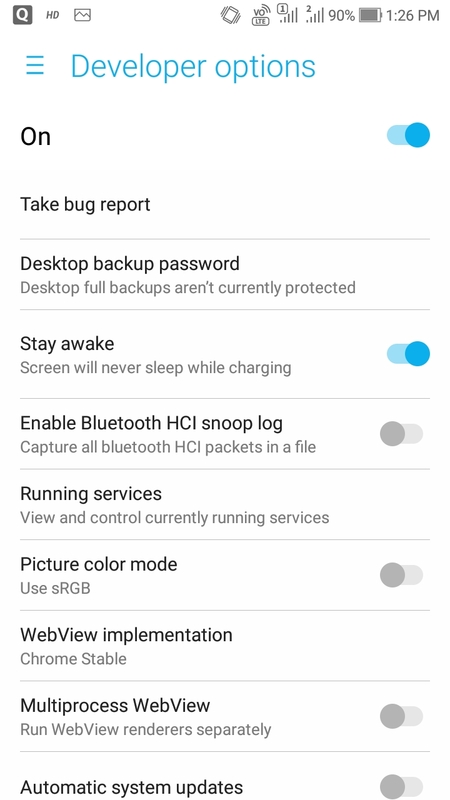 Android will keep your device’s screen on while charging and won’t turn it off. It’s like Daydream Mode, but can support any app and allows users to interact with them. And many other options, I preferred to visit on your own device Developer to know about them.